When it comes to some seasonal celebrations like 4th of July – I like to keep it simple and also not spend too much money on seasonal decorations. My favorites are homemade crafts, like paper lanterns, and painted soup cans, and using flowers and food in decorating so you can consume it and you don’t have to have a lot of storage to keep things for the next patriotic celebration. I also like collecting simple white dinnerware and serving ware because that’s easy to mix and match with any colored decorating theme. Also when it comes to buying star-shaped dishes or decorating items, I opt for simple ones that can also be used during Christmas and around the year and don’t scream the American flag. 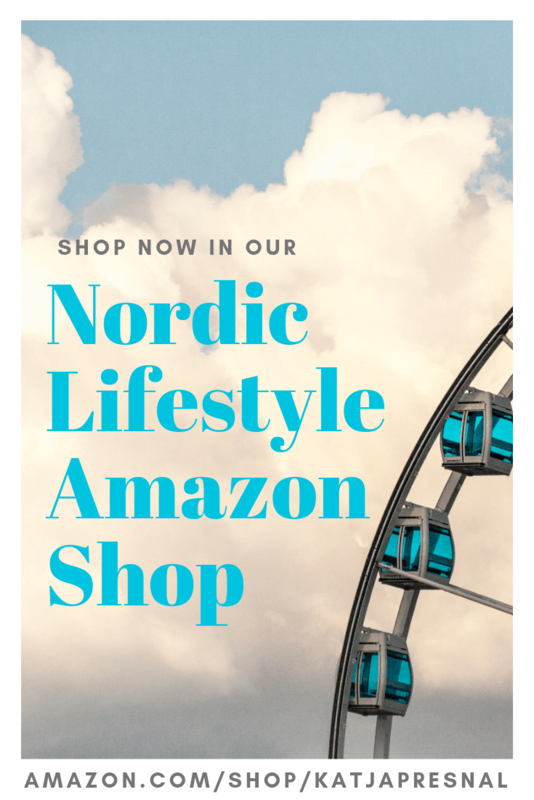 There is also nothing wrong opting out from the stripes – and going with more general polka dots for example to still get the right color scheme but get serving ware that fits other decorating themes as well. When it comes to 4th of July food – I love recipes using fresh blueberries and strawberries, like the traditional flag cake. Instead of spending the money on party decorations that only last for one party, buy better quality fresh foods for your party instead. Even if the food is simple, but made with fresh, good, ingredients, your party will be remembered as special and not “just another 4th of July BBQ”. For example I make my potato salad without mayo and with new potatoes, and it always gets compliments for being a little bit fresher option to your traditional one. It’s all in the fresh herbs, and fresh ingredients and you can find it all from your local farmer’s market. 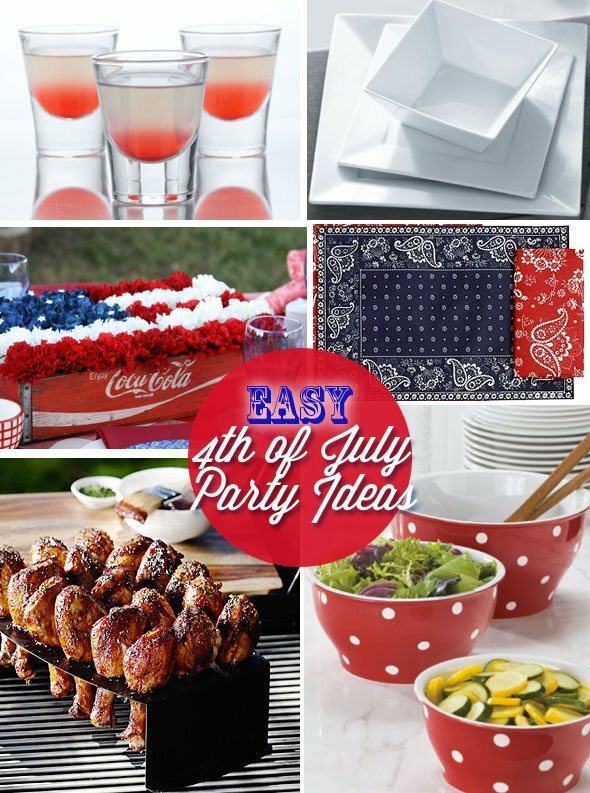 I collected a few great 4th of July party ideas that won’t break a bank, and are super easy to make. I also included samples of dishware that is perfect also for outdoor entertaining. The By Sandra Lee collection at Kmart has several inexpensive pieces that you can buy for your party now and save for parties for years to come. You will and up spending a little bit more money now than buying plastic or paper plates, but the impact for your party decorating will be huge – and you will have plates for years to come. Real ceramic plates beat plastic ones even outdoors when it comes taking your party to the next level. And when you buy simple white serving and dinnerware, you can use them for any themed party later on. Hope you enjoy my 4th of July party picks below! 1. Red, blue and white strawberries are yummy, and also easy to make! 2. The By Sandra Lee condiment set ($14.99) is inexpensive and will make your table top look much better than any plastic serving dishes. 3. These patriotic DIY Paper lanterns will top the party decorations and won’t bust your budget. 4. 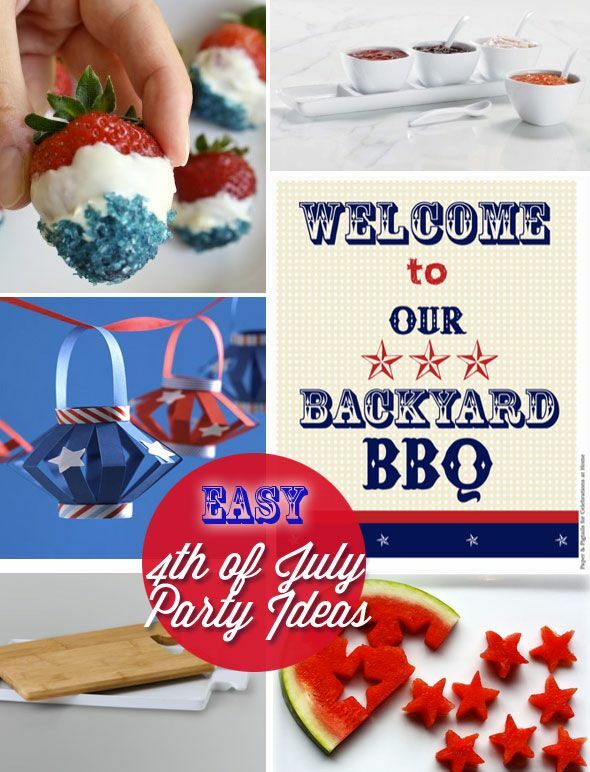 Get the free printable BBQ invitation template from Paper and Pigtail’s Party and print your own invitations without sacrificing style. 5. The By Sandra Lee porclein server and bamboo cutting board ($14.99) give you again great bang for your buck. Use it for serving and cutting in style and let your old cutting boards stay in the kitchen. 6. 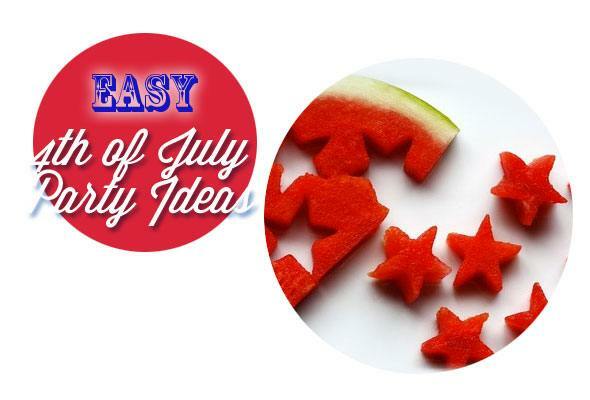 Use a Star Cookie Cutter to make watermelon stars. Healthy, good, and great patriotic look for 4th of July parties. You can also freeze these and use them to keep punch cool. 1. My cocktail choice for the 4th of July is the Exclusiv Bomb Pop for 4th of July. 2. The By Sandra Lee 16pc square porclein dinner ware set ($80.99) is inexpensive for a dinnerware set – but will look like million bucks in outdoor settings. 3. The carnations Coke crate flag is probably my favorite idea for 4th of July table centerpiece. You can find a crate from a flea market or antique store and find carnations from most grocery stores. Inexpensive but very dramatic. 4. I love the Set of 4 Linen Sawyer Navy Napkins by Ralph Lauren ($23.99) to bring sophistication and Americana to your 4th of July table setting. Invest in good linens that you can use for years to come – linens always makes a big impact on your table setting. 5. The Chicken Leg Griller & Jalapeno Roaster ($21.95) for easy grilling – grill 17 chicken legs or stuffed jalopenos at once. Hands on one the coolest grilling accessories I’ve seen this year. 6. These polka dot ceramic mixing bowls ($27.99) look great as serving bowls and bring a bit patriotic colors to your party table. Love the watermelon cut-outs. Adorable. 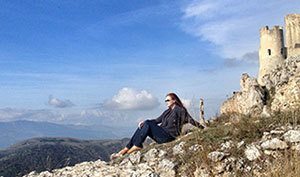 Great post.! If I’m online, I’ll join in.